I was excited to check out this new book because my 9 year old daughter is very interested in photography. She has a decent camera and is taking pictures all the time! I think she’s doing quite well, even though she has just been learning on her own, so I thought this book might be a help and encouragement. She says she loved the book and learned a lot. The discussion on correcting “red eye” was particularly helpful to her. She also liked learning how to change color on pictures- and I’ve noticed her experimenting with this now. The book is nicely laid out with great photo illustrations. It is easy to use and includes photography assignments to practice things discussed in the book. 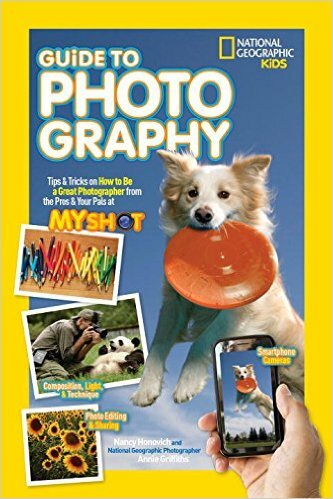 If your child is interested in photography this will be a great book for you.